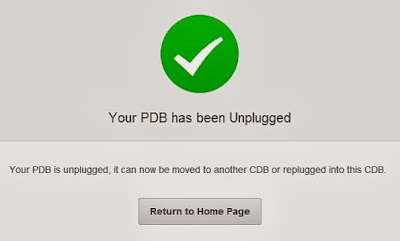 When use PDB, users want to plug & unplug PDB. 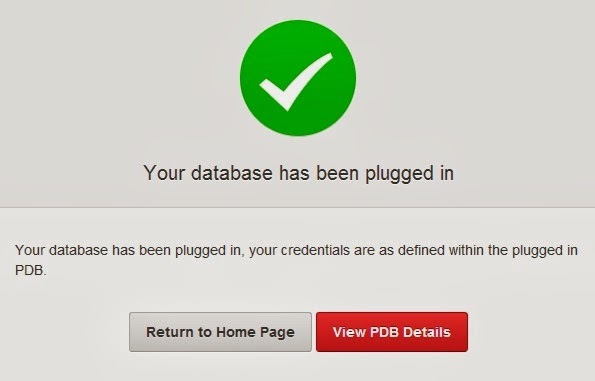 I just wanted to unplug PDB on Oracle Multitenant Self-Service Provisioning. If PDB mode = OPEN, users must close PDB before. After PDB mode = "Mounted", then started with "Unplug" again. Checked on page. PDB (TESTPDB01) mode = "Mounted" and "Unplugged" status. It's time to test "Plug In". It's all right for BETA version.